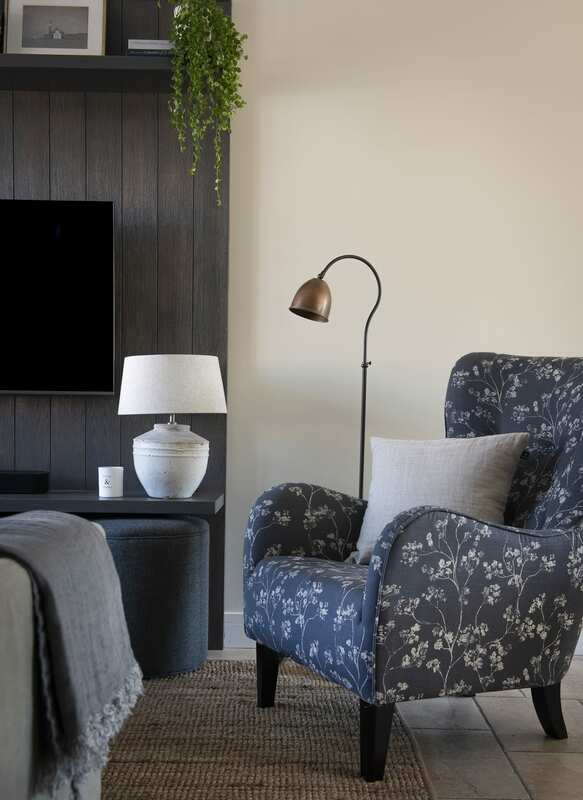 We love all our projects for their variety and unique challenges but sometimes the client/designer relationship really connects and this was one of them. 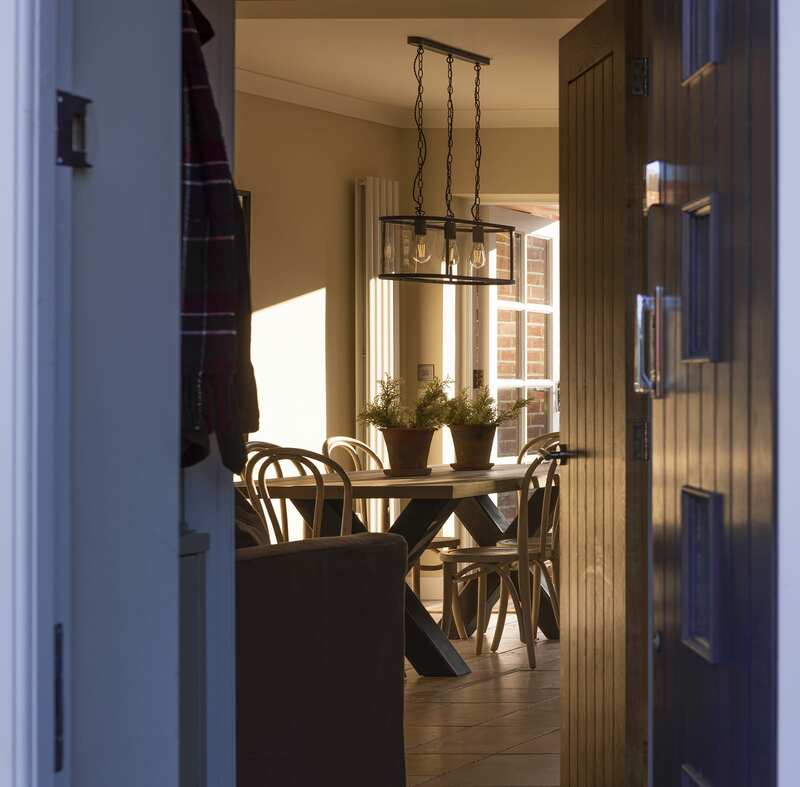 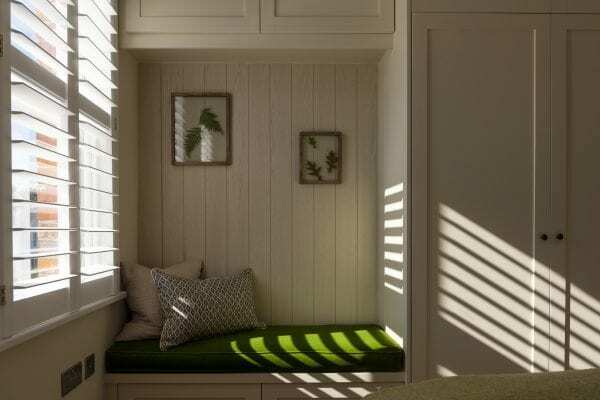 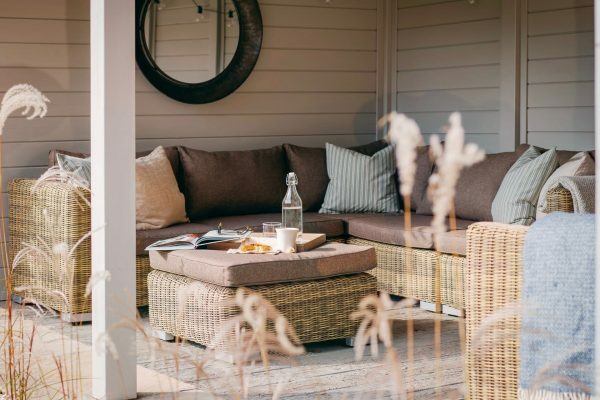 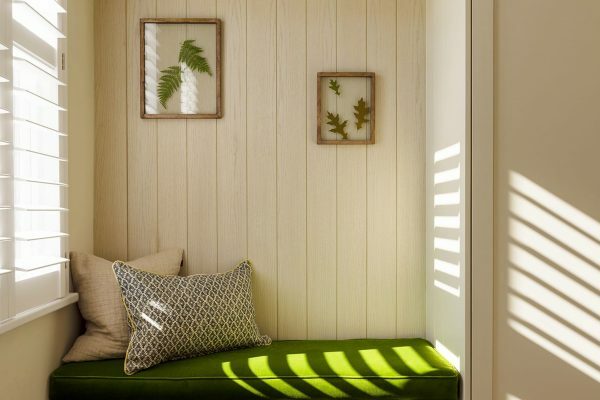 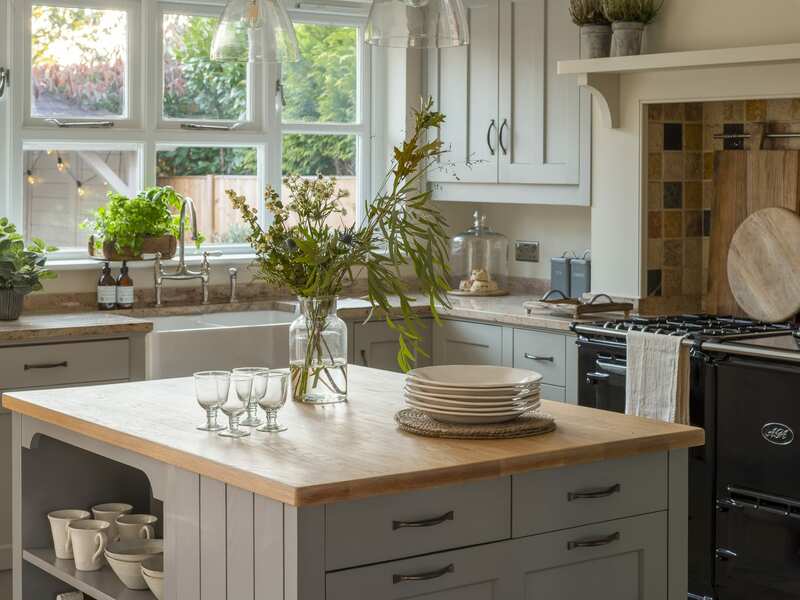 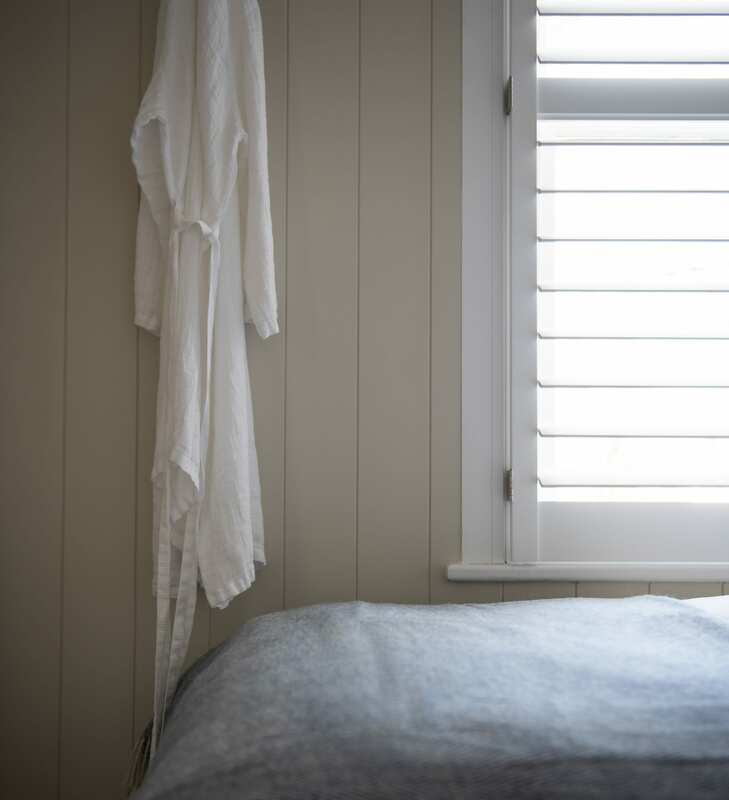 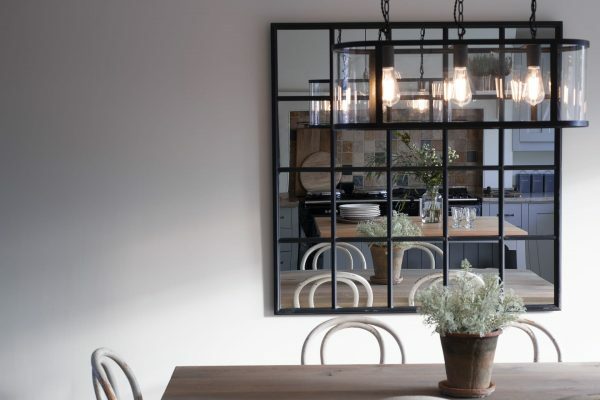 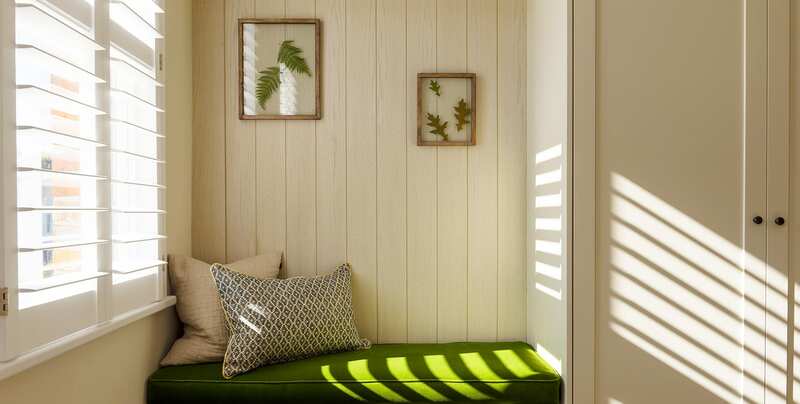 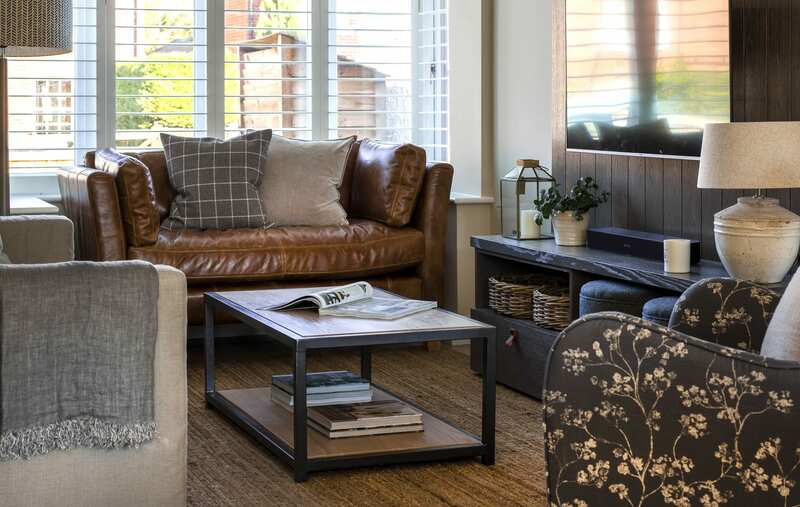 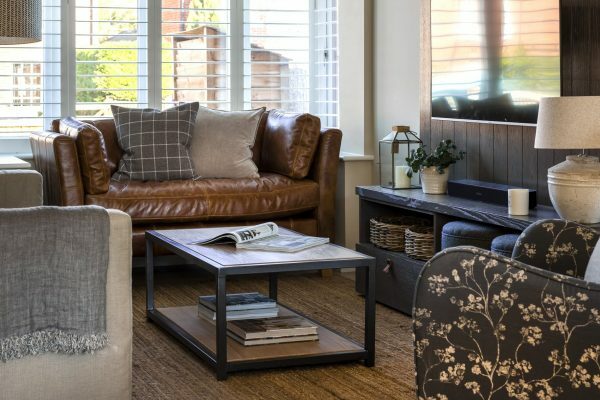 Our clients were keen to reference the cottage’s New Forest location whilst retaining a flavour of the fresh, easy style of living they’re used to at home on the other side of the world. 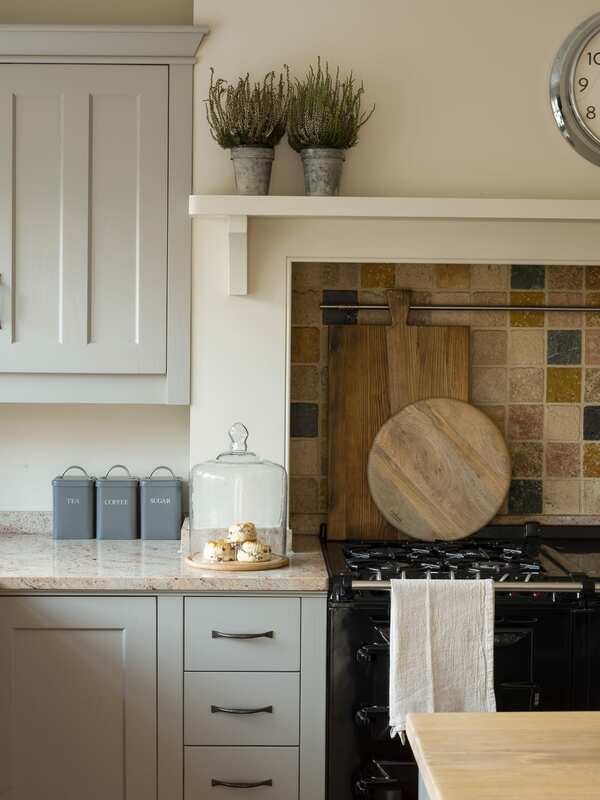 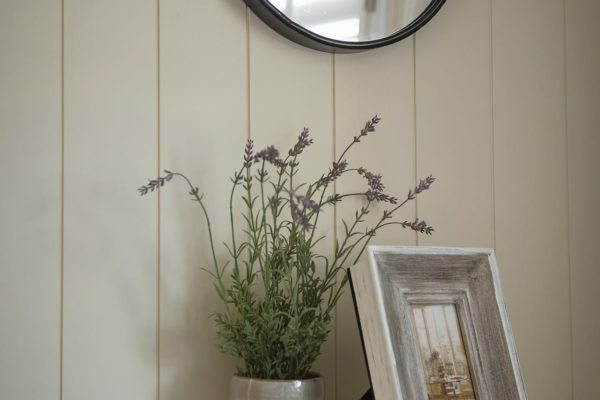 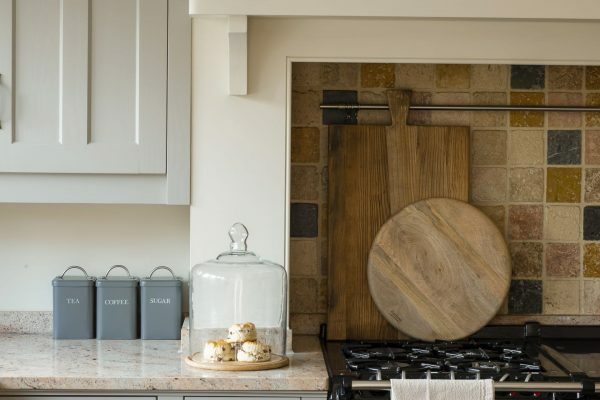 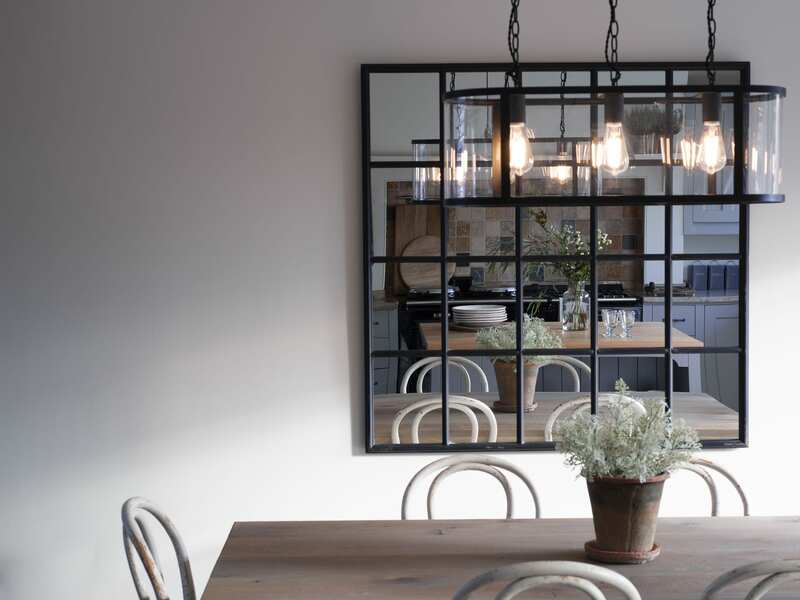 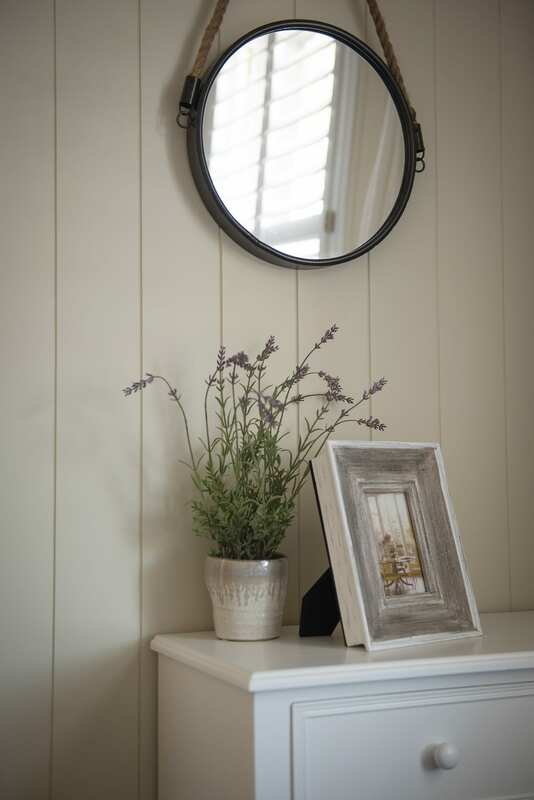 Style wise it’s lent itself beautifully to the simple, modern country interiors with rustic elements that we love to create. 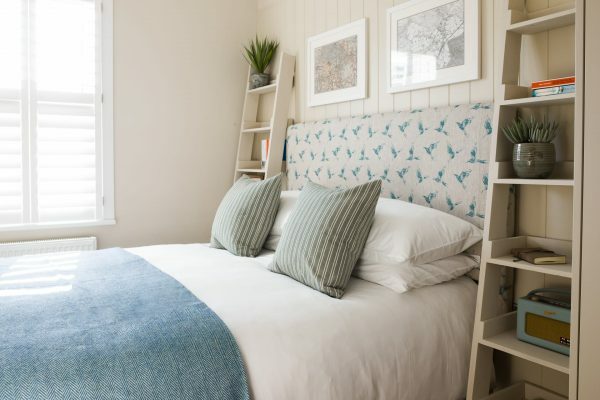 We had several key challenges: previous renovations had removed any period character and left boring boxy rooms, the sitting area felt narrow with no focal point and the bedrooms very tight with no storage. 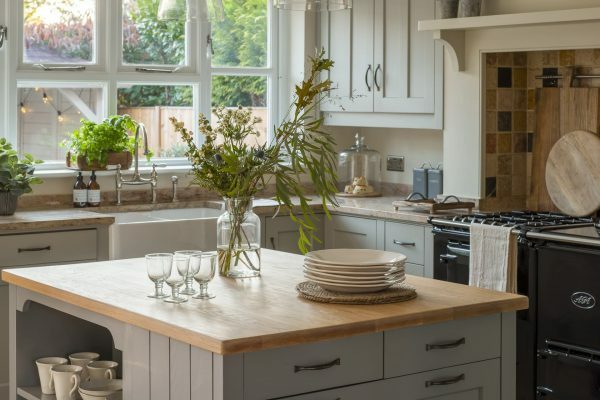 On the plus side we had a lovely Aga in a simple shaker painted kitchen, an open plan ground floor and lovely double doors that open out to the garden with an undercover area. 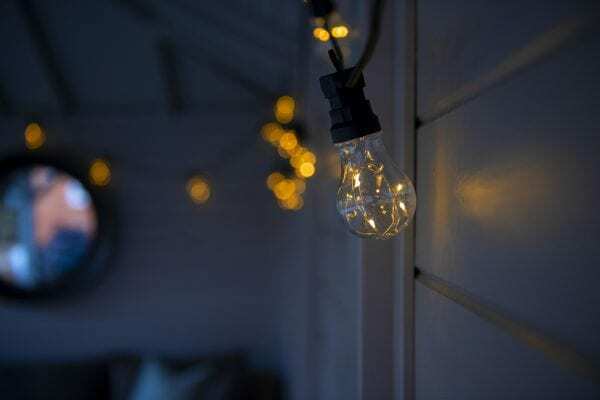 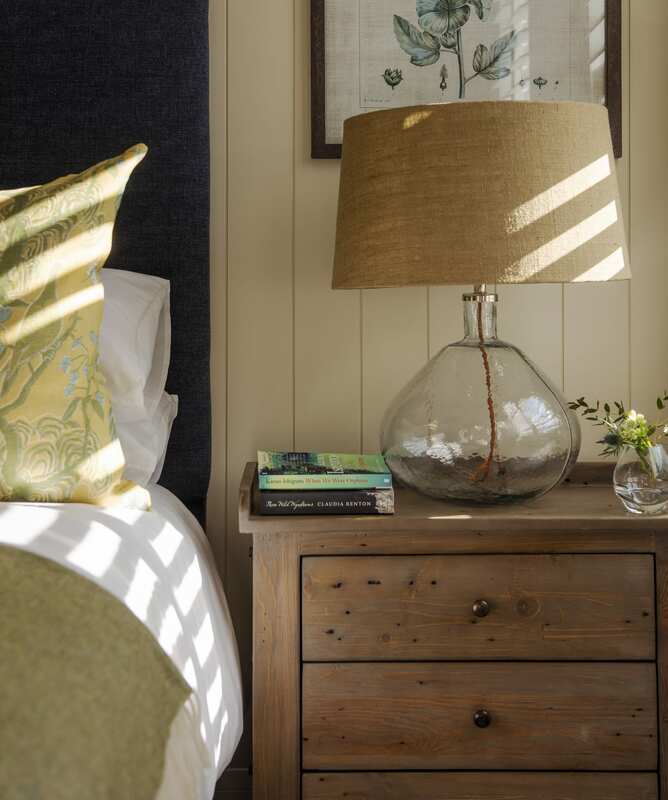 We also needed to use practical fabrics and finishes as the property is let for short term holidays through New Forest Escapes when not occupied by the owners. 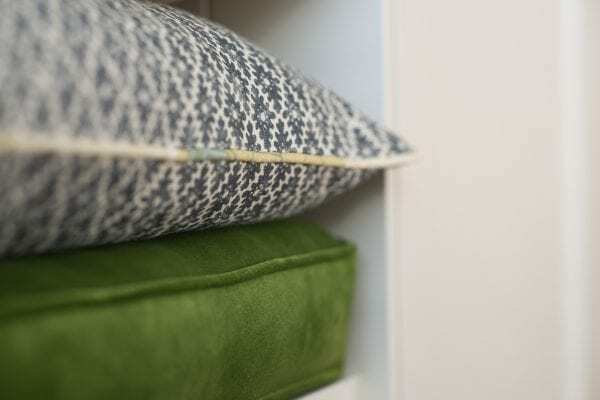 To maintain a feeling of space we used a warm neutral palette with splashes of colour and restricted the number of finishes. 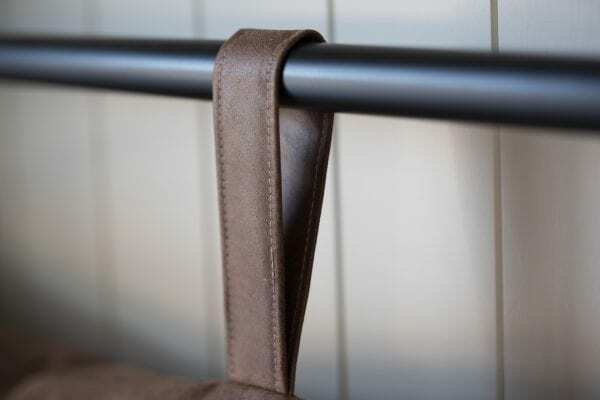 Simple tongue and groove, leather, linen, black metal and rustic wood are used in different combinations to maintain the flow and simplicity. 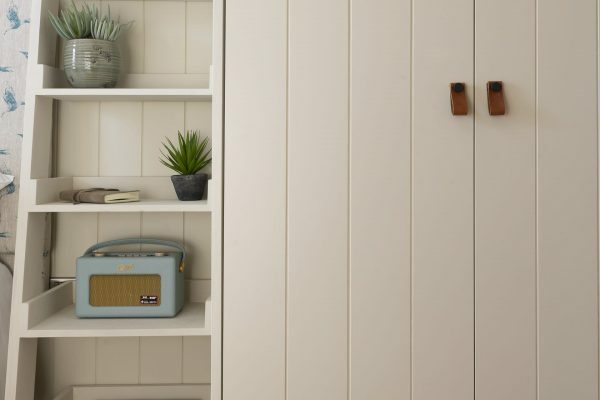 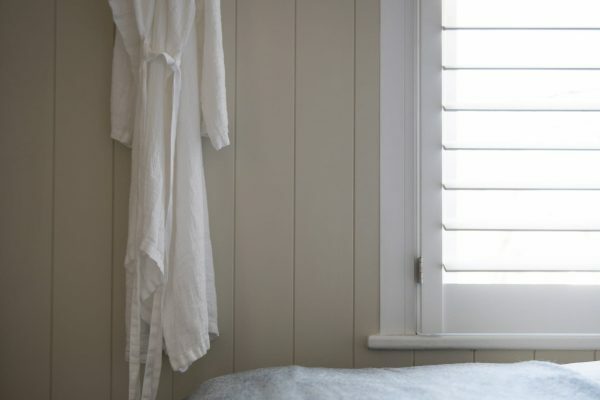 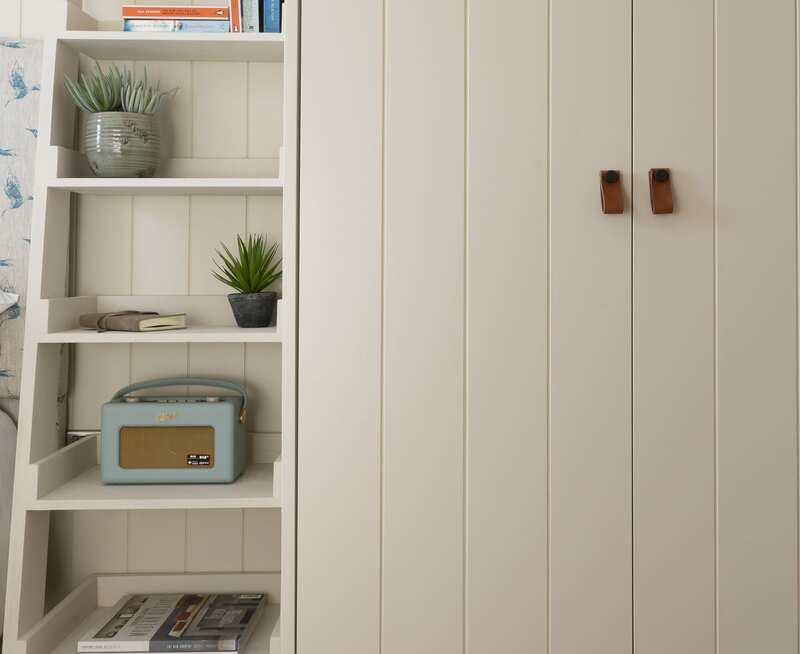 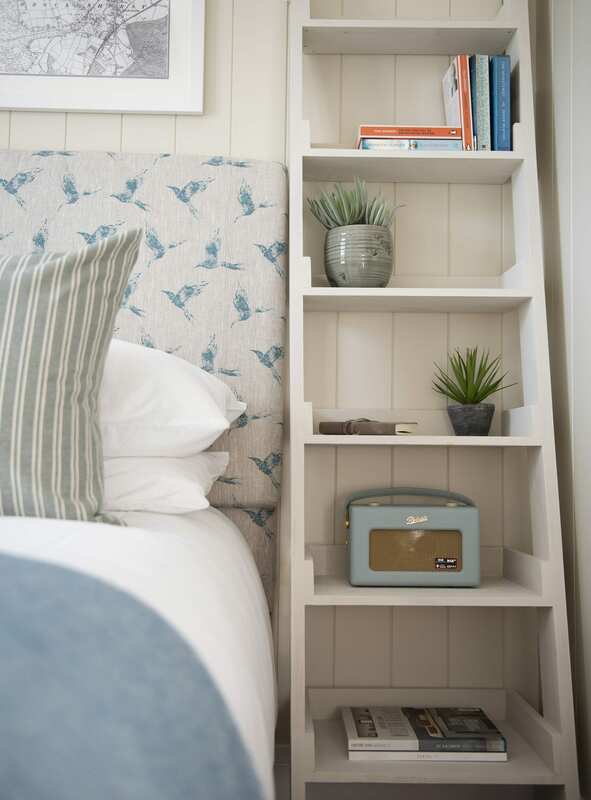 We designed clever built in joinery painted to match the walls to make use of every storage possibility in the bedrooms. 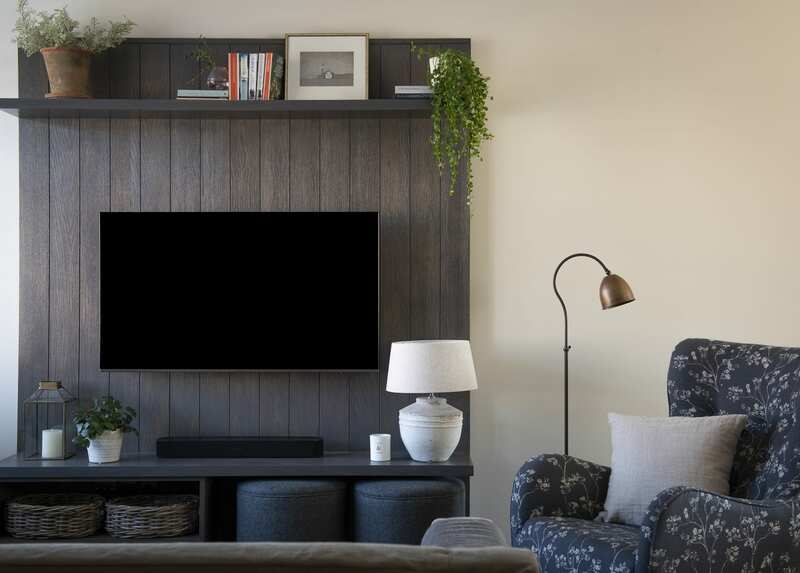 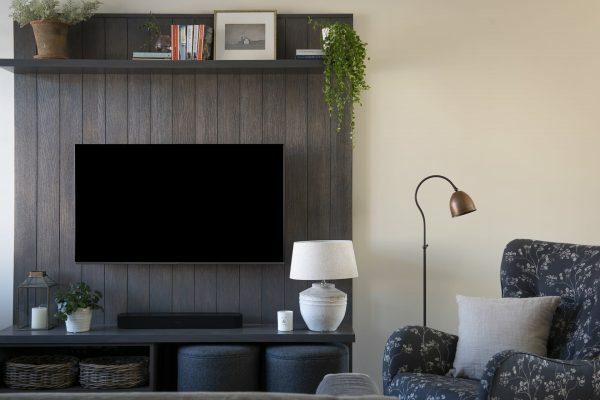 The living space sadly proved too narrow for a log burner so a custom built wall unit was commissioned to minimise the TV and provide a focal area for that space. 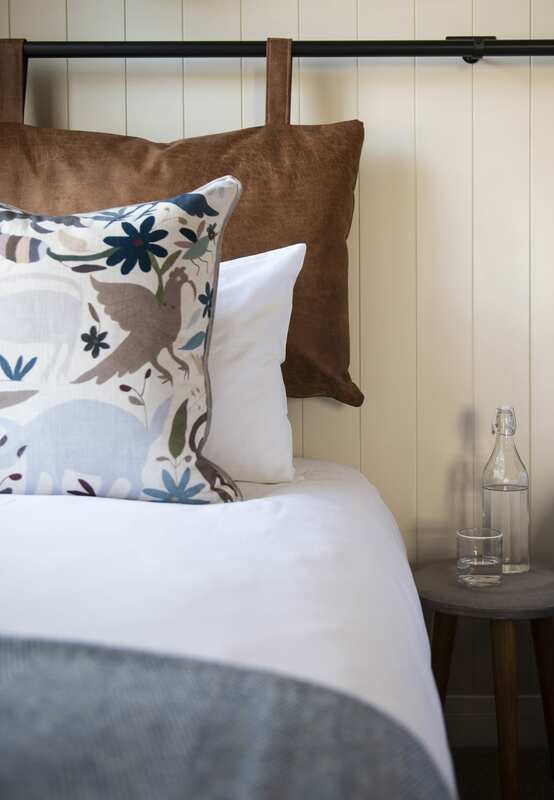 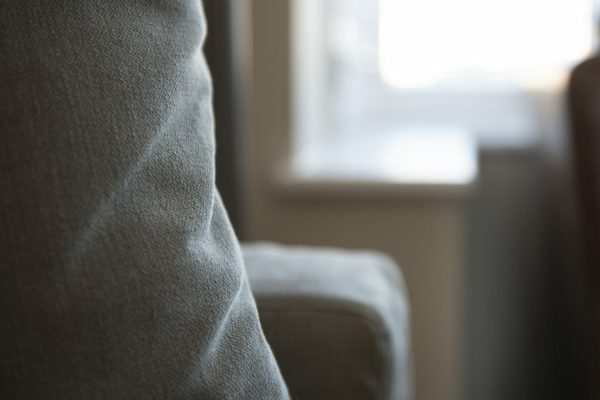 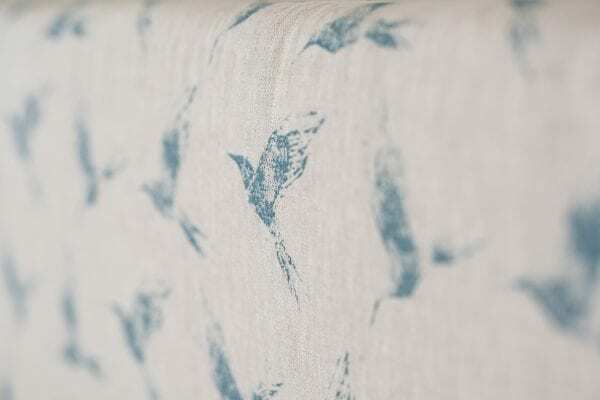 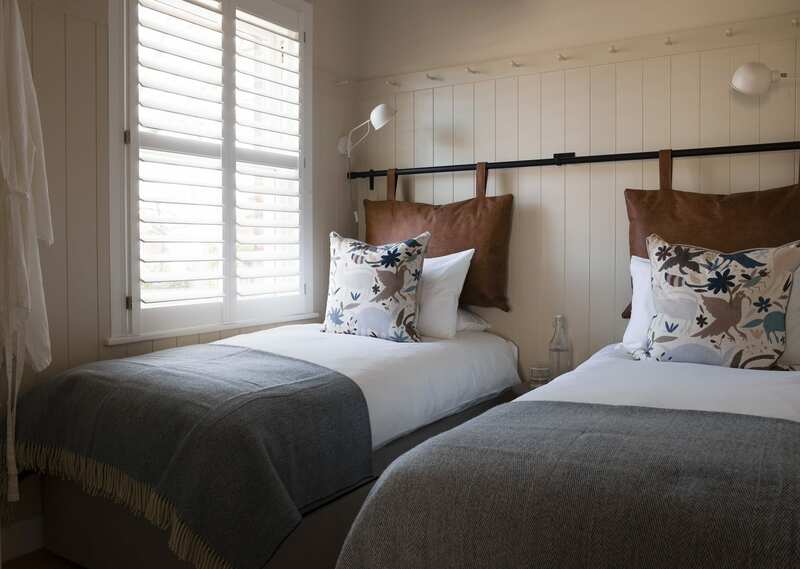 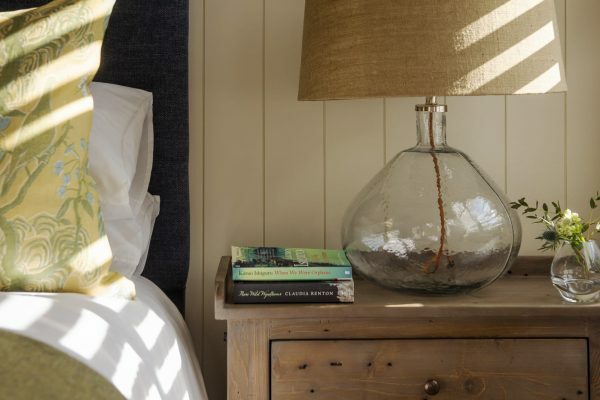 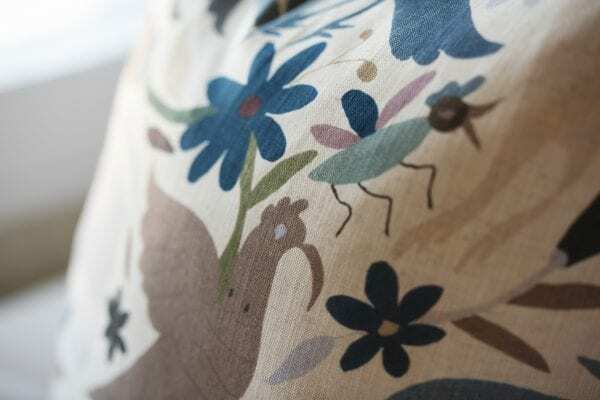 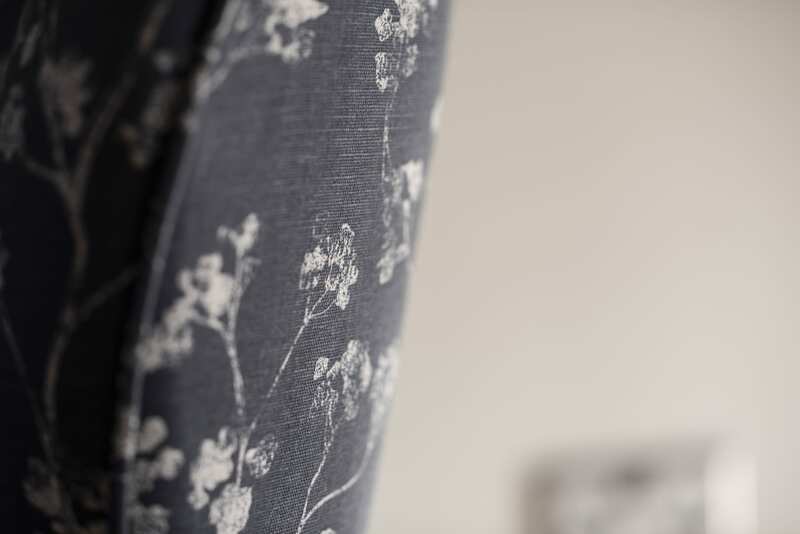 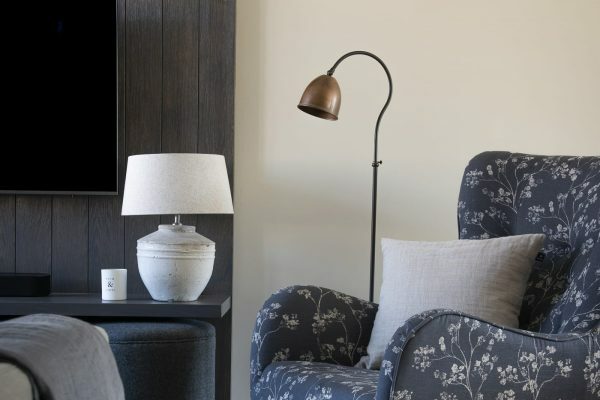 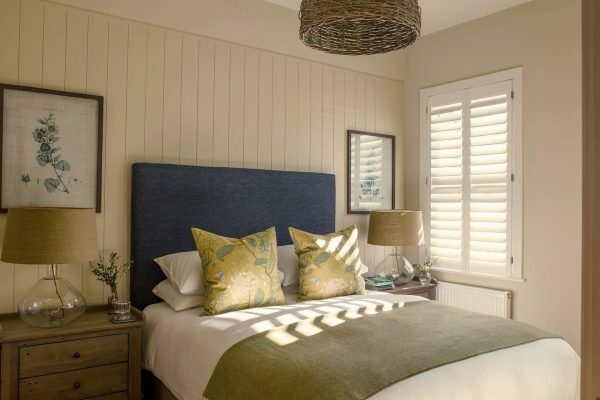 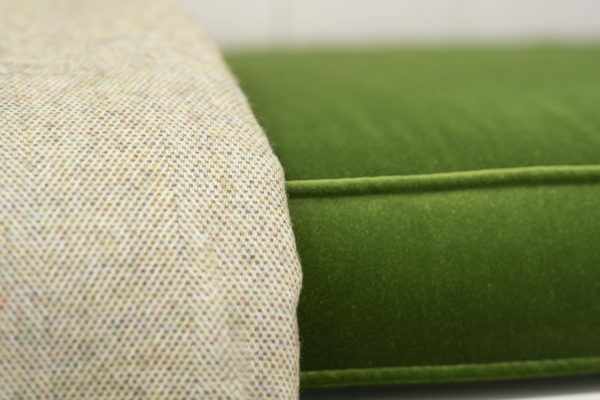 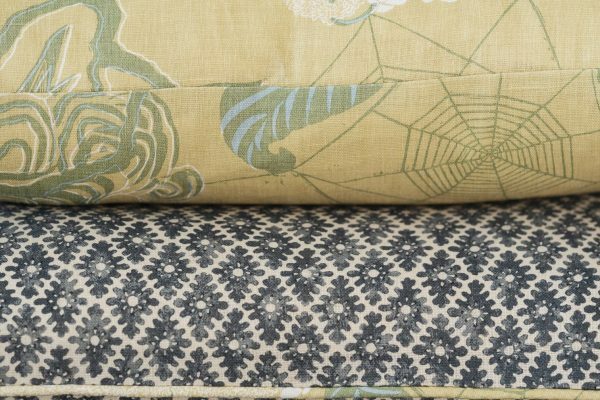 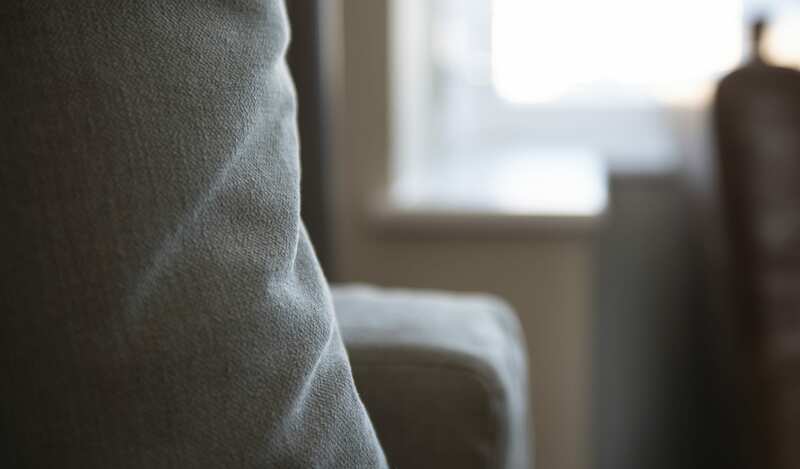 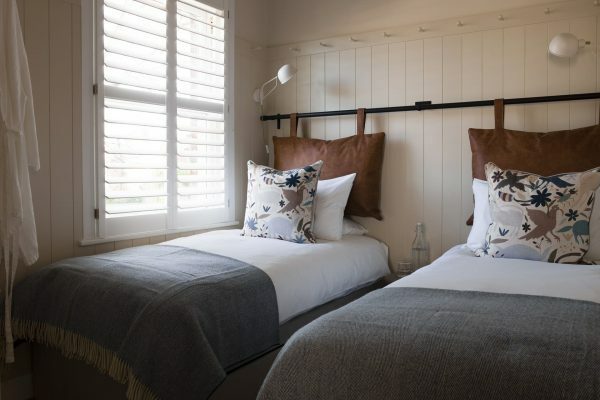 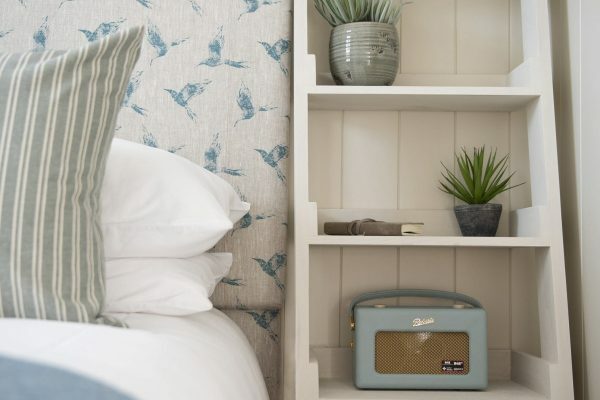 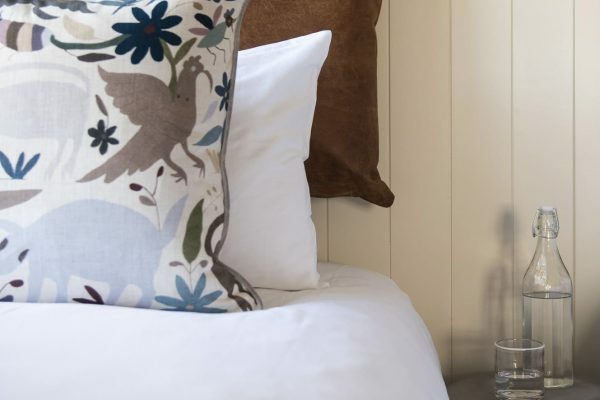 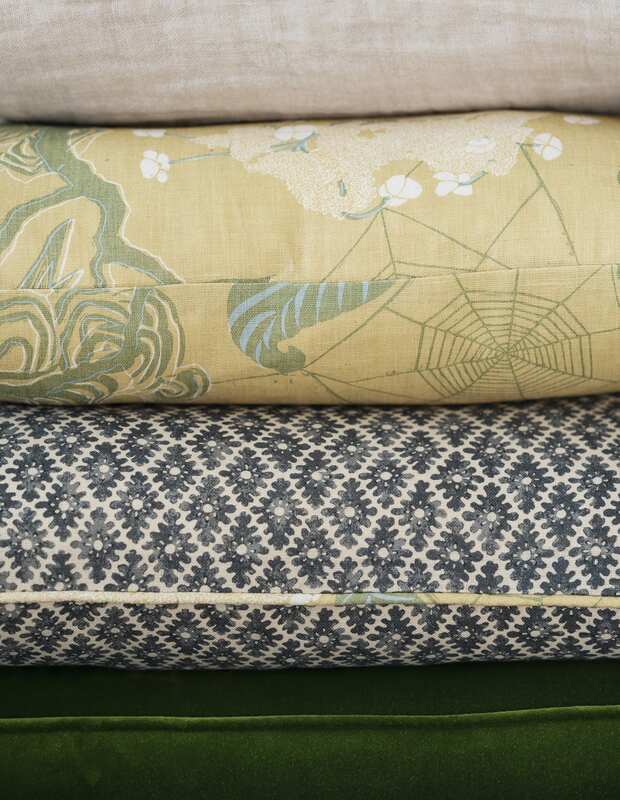 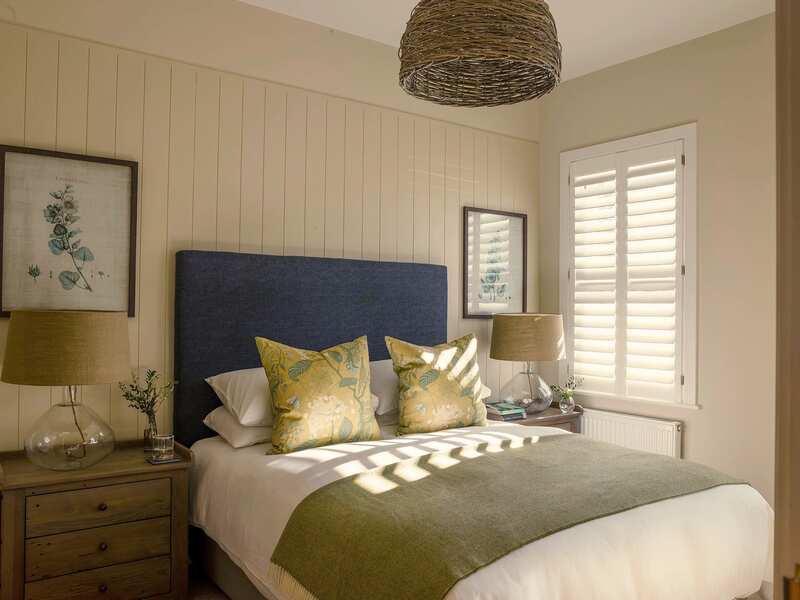 We loved using British fabric brands; Linwood, Lewis & Wood, Zoe Glencross and Ian Mankin but if you look closely there’s a native Kiwi on the cushions in the Master Bedroom – just a hint of New Zealand. 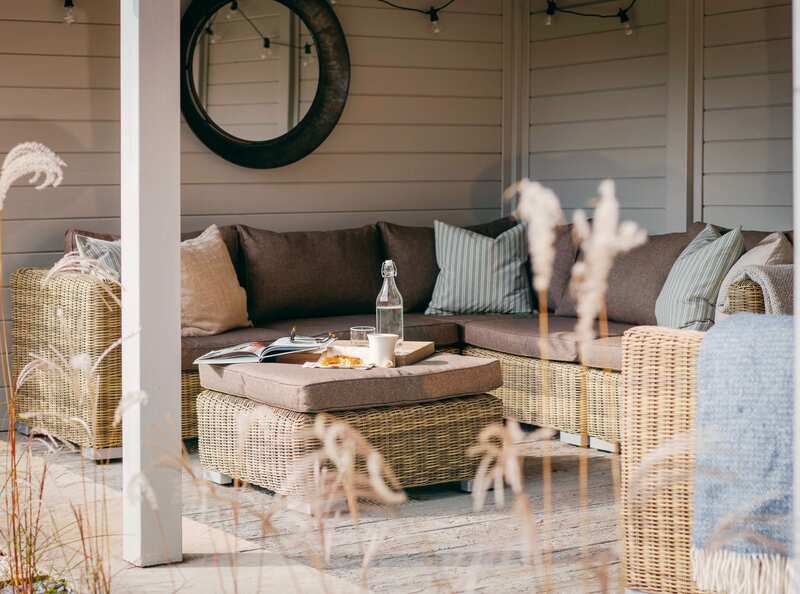 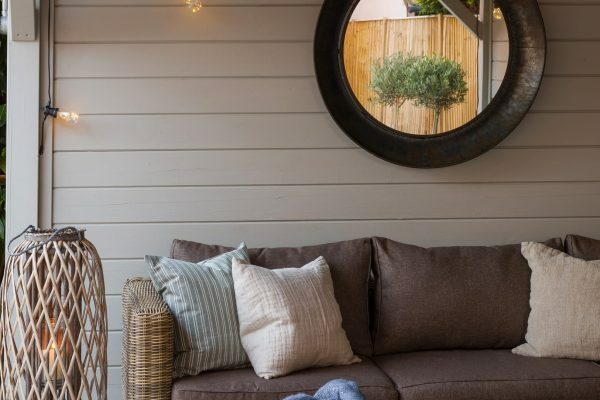 The simple timeless feel flows out into the garden where we worked with Bridget and Russell from Go Botanical to create a pretty low maintenance outdoor space with a lovely covered sitting area softened with grasses and olive trees. 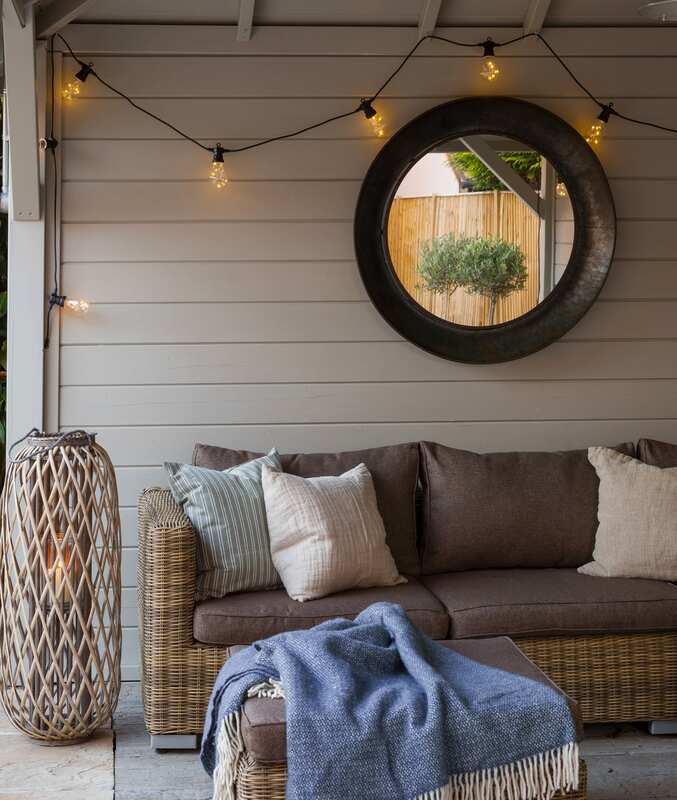 A perfect place to kick back and relax in the warmer weather or snuggle up in a blanket when it’s cooler. 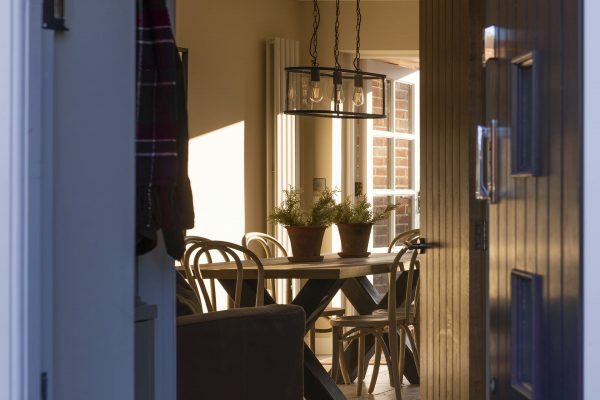 We’re very much looking forward to Phase Two in the spring overseeing the building of a front porch and outdoor BBQ area.